The Seveth Day Baptist Missionary Society is celebrating one hundred and seventy-five (175) years of ministry. This story started in 1802 when the US General Conference was established with the objective to send out missionaries. By 1828 the American SDB Missionary Society was formed, and the responsibilities of missions was turned over to this new society. 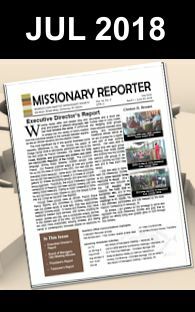 In 1842 an SDB Missionary Association was formed and merged with the existing society to create the “Seventh Day Baptist Missionary Society.” The Missionary Society, with great support from donors over the past 175 years, has helped carry the gospel to many regions/nations across the globe. One way to ensure the continuation of this ministry is through the 365 Supporter option. The 365 Supporter Members show their commitment by giving at least a dollar a day for a year. Funds will be used to carry out work in other exciting places God has planed for this ministry. Thank you for the first 175 years! With continued support and the grace of God, we will go further and do more to promote the sharing of the gospel with all peoples until our Savior’s triumphant return.